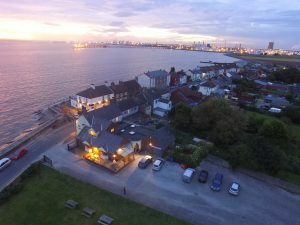 Eating out in Paull : Currently, two pubs sell food either as restaurant meals or to take away. The Crown is currently closed until further notice. 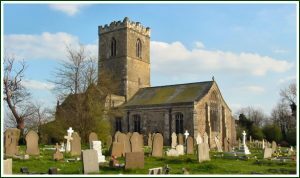 St Andrew’s Church operates the Riverside Pop-in Cafe on Saturdays and Sundays between April and October, from 2 to 4, selling various refreshments and home-made cakes and pastries. The nearest local Market Day is in Hedon, every Wednesday. Car Boot Sales are held on the Sports Field on the first Saturday in each month, from April to October, weather and field conditions permitting. Access for sellers is via the lane to the right of the white cottage and for buyers via the lane to the left of the cottage. Both will be signposted on car boot days. All gate proceeds go to the Village Hall and the Parish Church. School : Paull Primary School : Main Street, Paull. 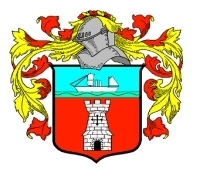 Girls and boys aged 3 (Nursery) or 4 (Early Years class) to 11 – transfer to South Holderness School, Preston. Parent and Toddler Group : meets in the village hall on Friday mornings 9.30 a.m. to 11.30 a.m. Village Hall : (available for private hire) – see their own website for latest information or the contacts links on this website. Church services : St. Andrew’s Church : morning service on 1st Sunday at 11.00 am; Evensong on 2nd and 4th Sundays at 6pm summer, 3pm winter. No services on 3rd Sunday. Doctors’ surgeries are in Hedon: Hedon Group Practice (tel. 01482 899111) and Church View Practice (tel. 01482 899348) – both are situated on Market Hill, Hedon. Veterinary Surgery: Haven Veterinary Practice, Ketwell Lane, Hedon – tel. 01482 898301 for appointments and information. Village amenities : The playing field is open to the public. The Parish owns two amenity areas, both with seating, one at the corner of Turpit Lane and one on Main Street. There are extensive riverside and woodland walks, some of the footpaths being suitable for wheelchair access. Allotments : there are 20 allotment gardens rented to local people by the Parish Council. At present there are no vacant plots and a waiting list is being kept. For further information please contact Cllr Beadle. Paull Point Battery (also known as Fort Paull) is in private ownership and is an award-winning tourist attraction. It’s opening times can be found here and features static displays of military history plus re-enactments most weekends. Paull is part of an extensive flood warning system although the Parish Council is powerless to actually prevent floods! The scheme to return the low-lying area immediately south of the village to saltmarsh in a managed realignment of the river bank has been completed and has attracted large numbers of birds; it is open to the public at all times but visitors are asked not to leave the paths as the mud flats and saltmarsh can be dangerous, particularly on a rising tide. Paull Holme Strays are now managed by the Yorkshire Wildlife Trust and you are asked to keep dogs under control if walking on or around the Strays.